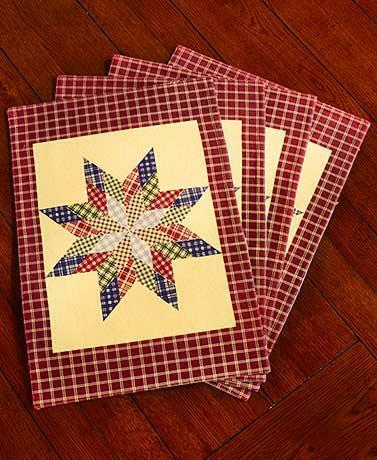 This set of 4 placemats are certainly country! An eight point star in burgundy, blue, green & black stamped on a cream background and surrounded with a burgundy plaid. These will dress up your table in a big way!